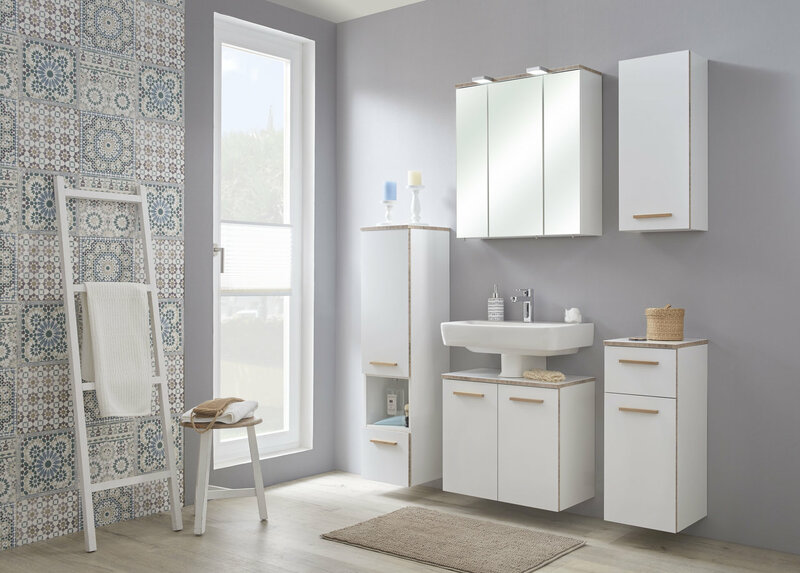 BURGAS is synonymous with timeless elegance and cosy warmth. 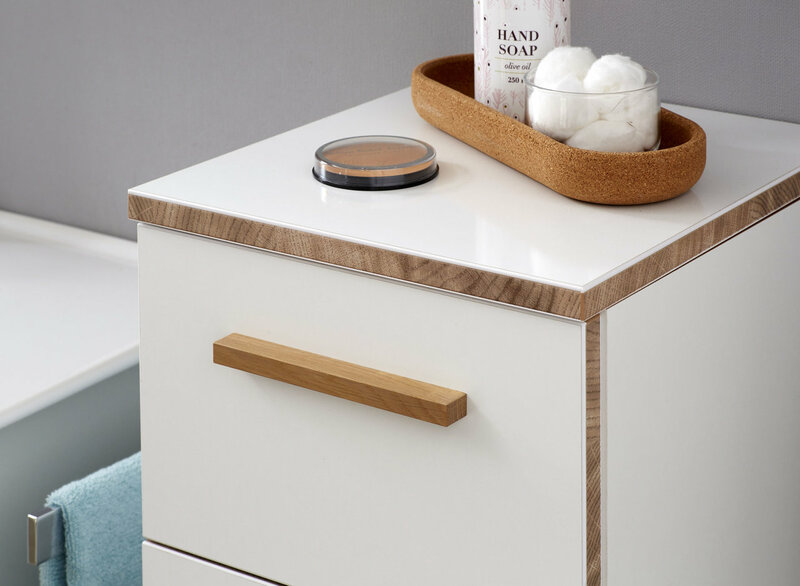 The classic white edges create a particularly homely look in conjunction with the natural wood décor, which is further complemented by the wood-coloured handles. 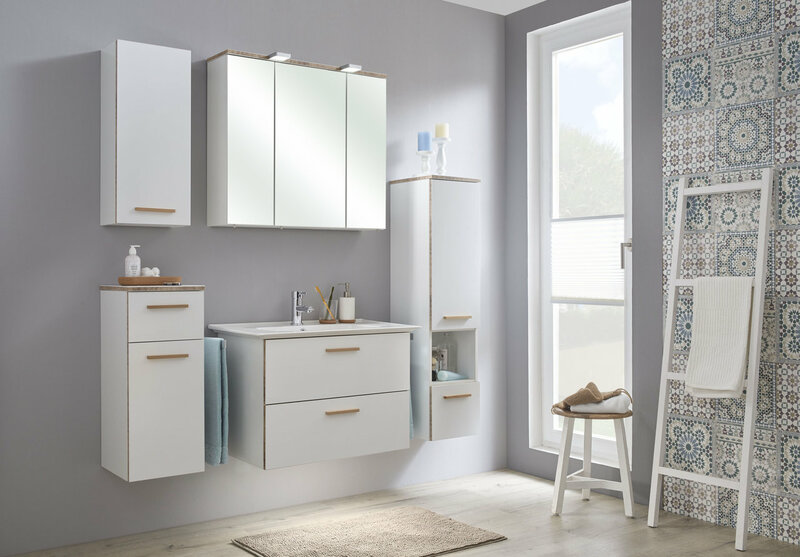 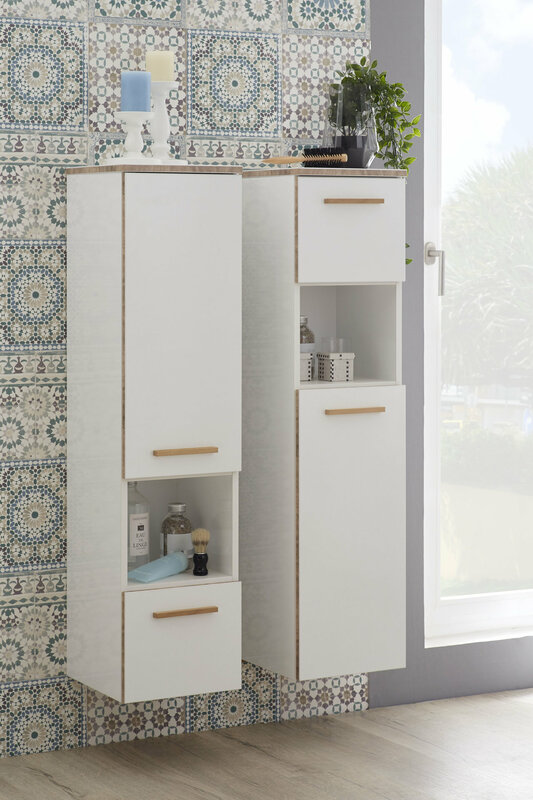 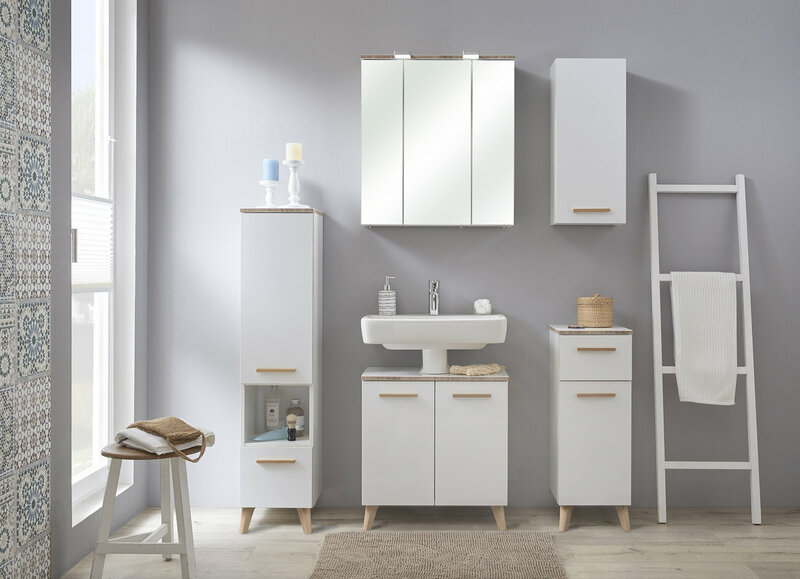 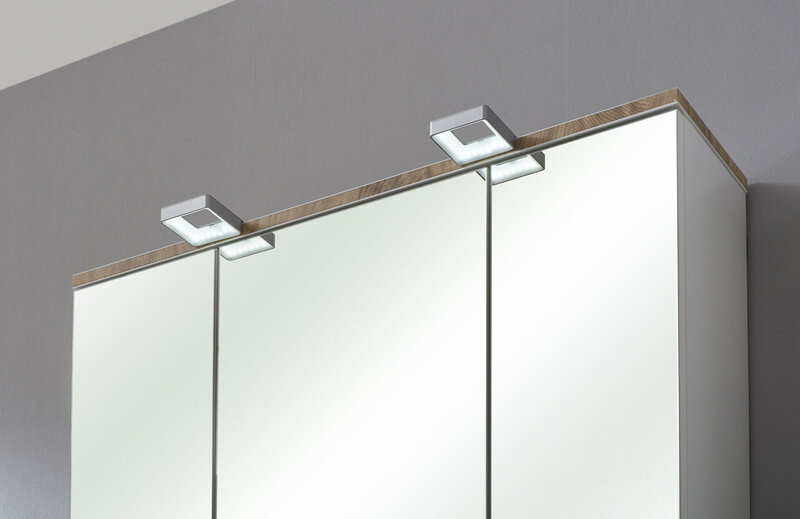 Various types of cabinet will suit any space and provide storage for towels, care products and other bathroom utensils.